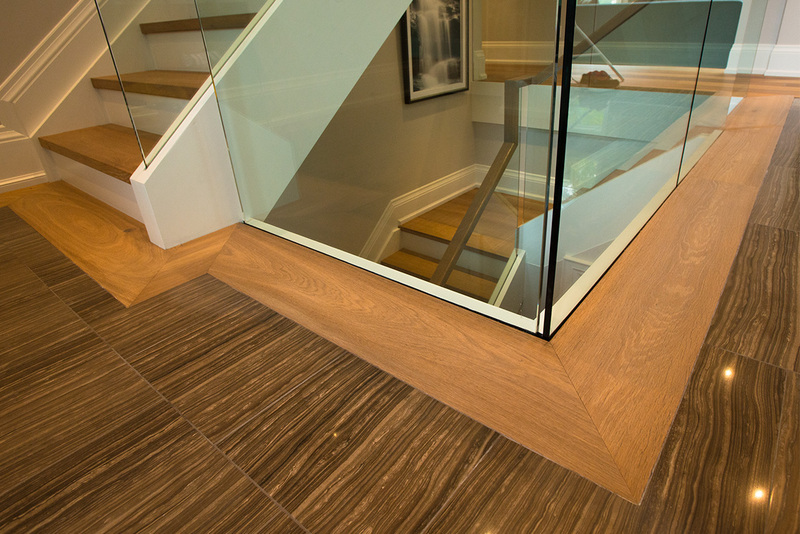 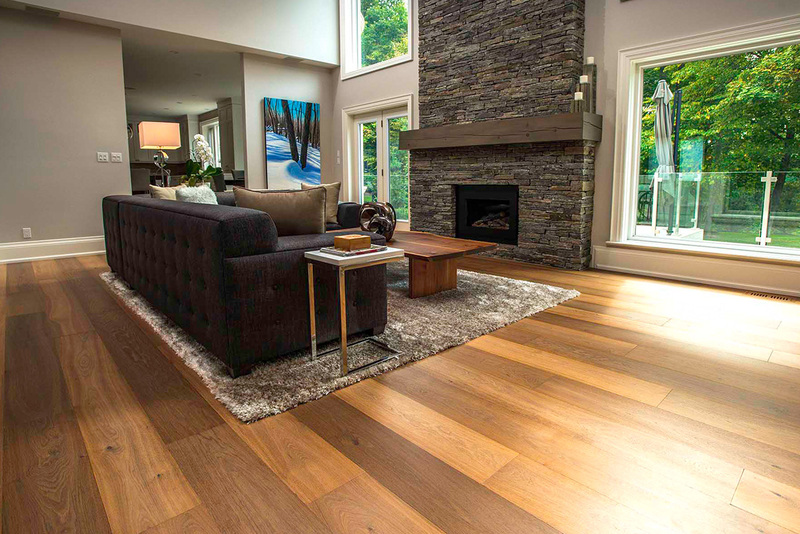 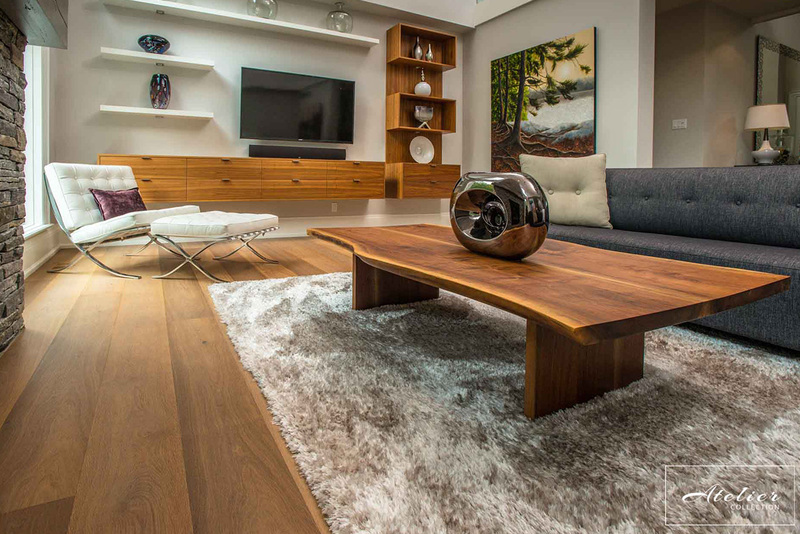 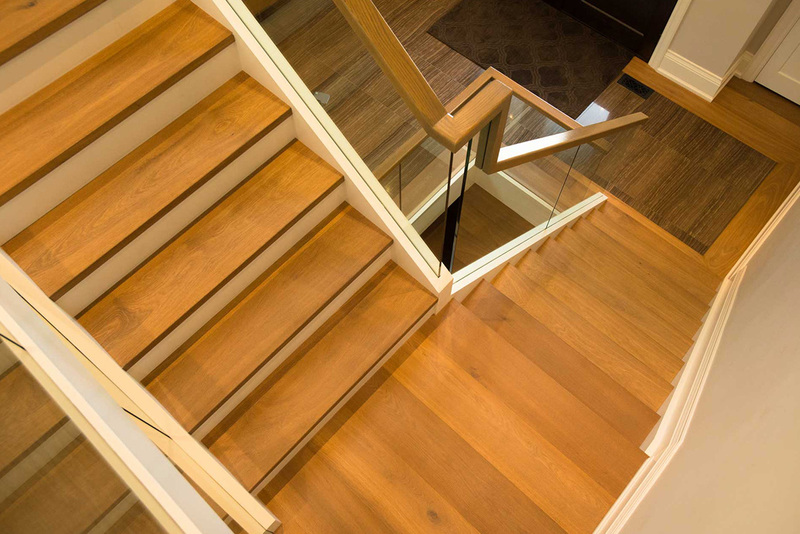 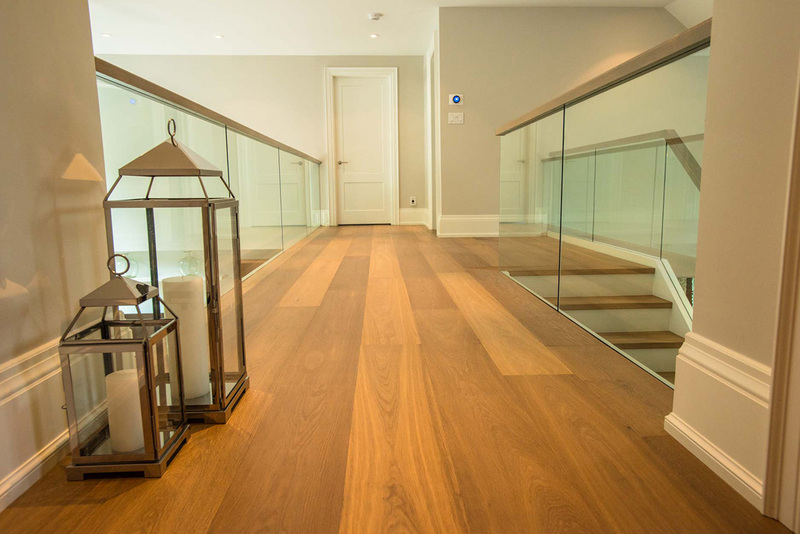 This project features the Atelier Collection’s Metz in a Select Grade and 7″ wide plank. 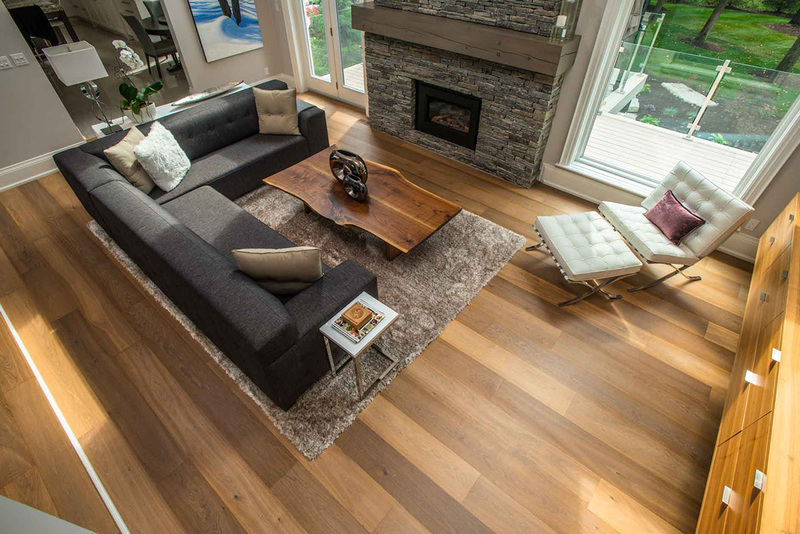 The interior design merges both rustic and modern finishes harmoniously to create a warm, yet elegant feel in the space. 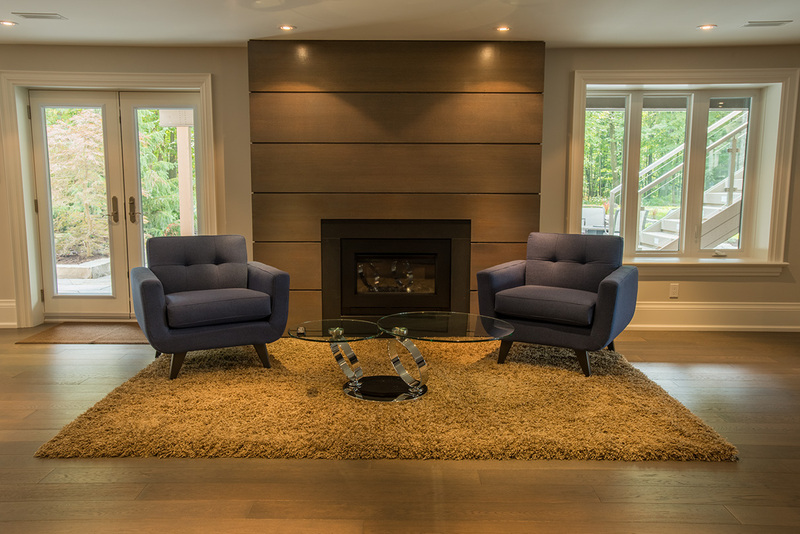 The authentic character of nature is accentuated by the predominant wood accent that is consistent throughout, and through the large windows facing the forestry surrounding the household.